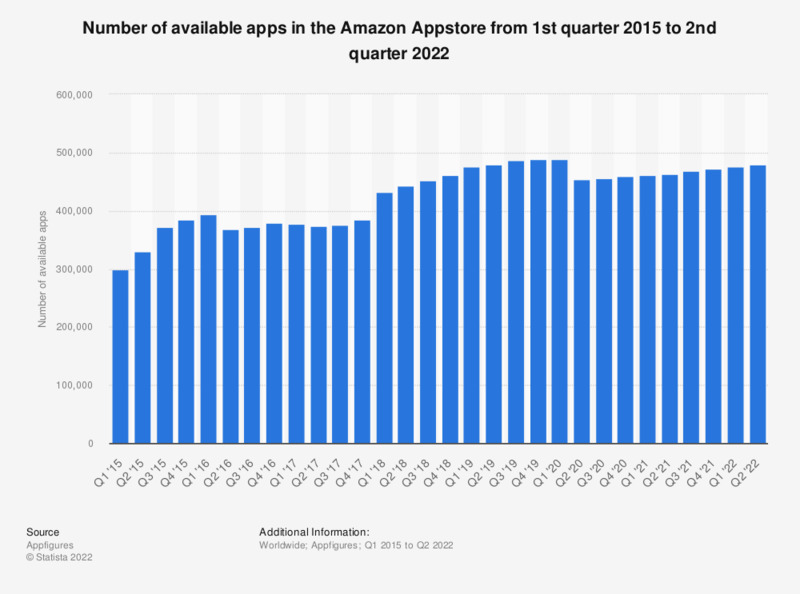 This statistic gives information on the number of available apps in the Amazon Appstore. As of the fourth quarter of 2018, 460,548 mobile apps were available. This represents a 1.88 percent growth in available apps compared to the previous quarter. The Amazon Appstore does not only offer Android apps but also apps specifically optimized for its range of Kindle Fire tablets as well as the Fire TV and Fire Phone.